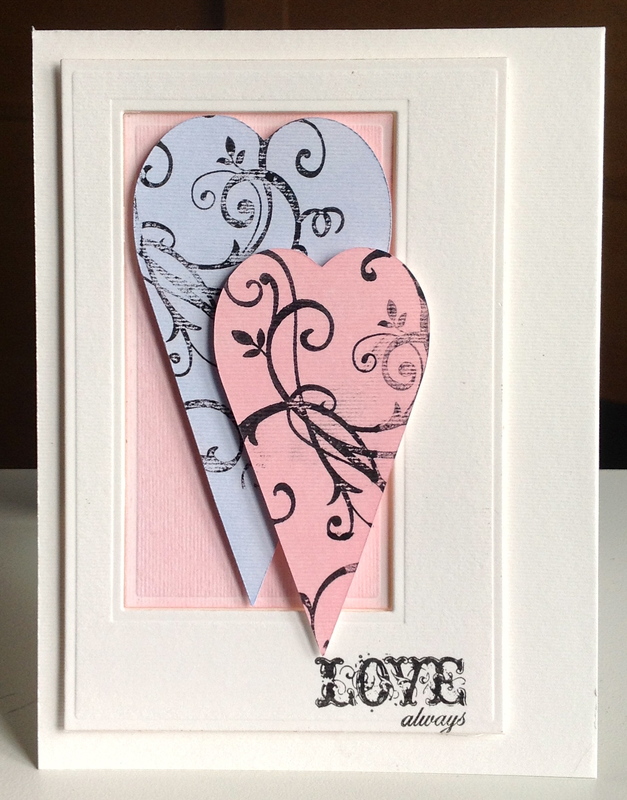 Well I think you’ll agree this is the perfect code word for this time of year, come and see what I made and I have to warn you that there is actually some stamping involved !!!!!!! 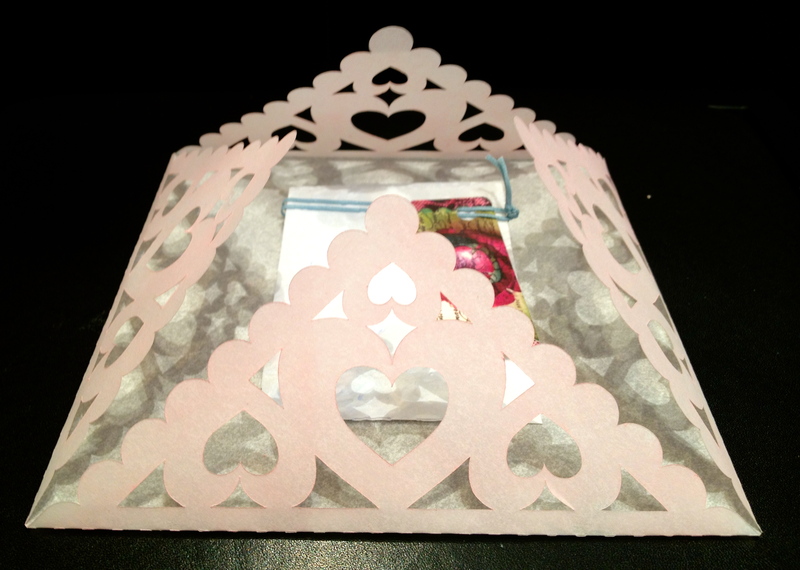 I created the frame with the Spellbinders card creator and cut a couple of hearts with Ms Cameo. 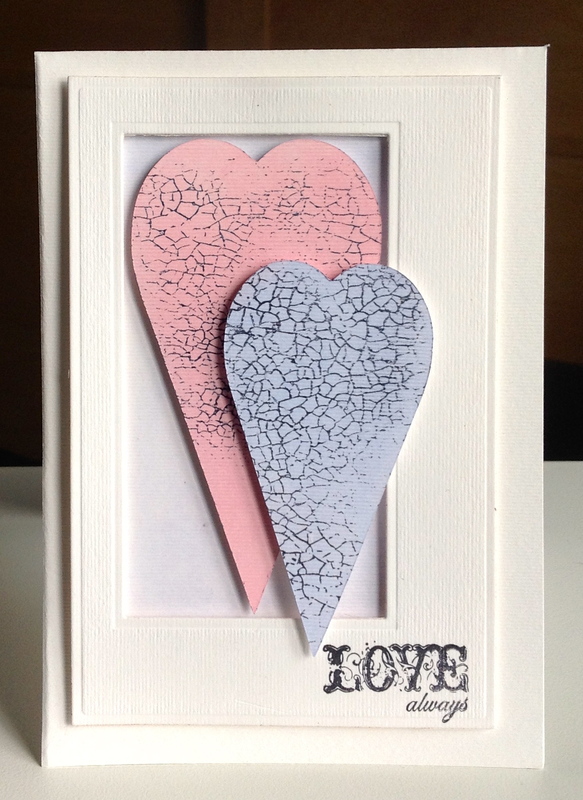 Coloured the hearts with Pan Pastels and stamped them with an IndigoBlu crackle stamp. 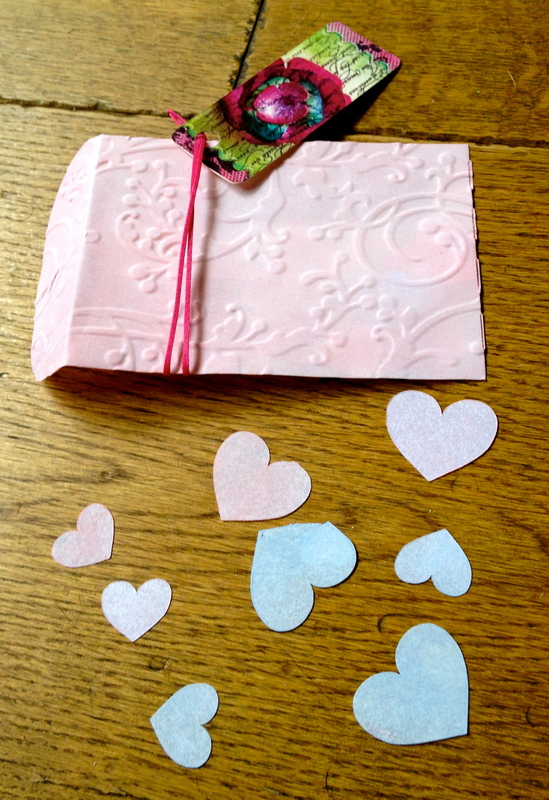 Sentiment courtesy of SU, can you believe it I actually got down and dirty , well actually pink/blue and pastelly !!! 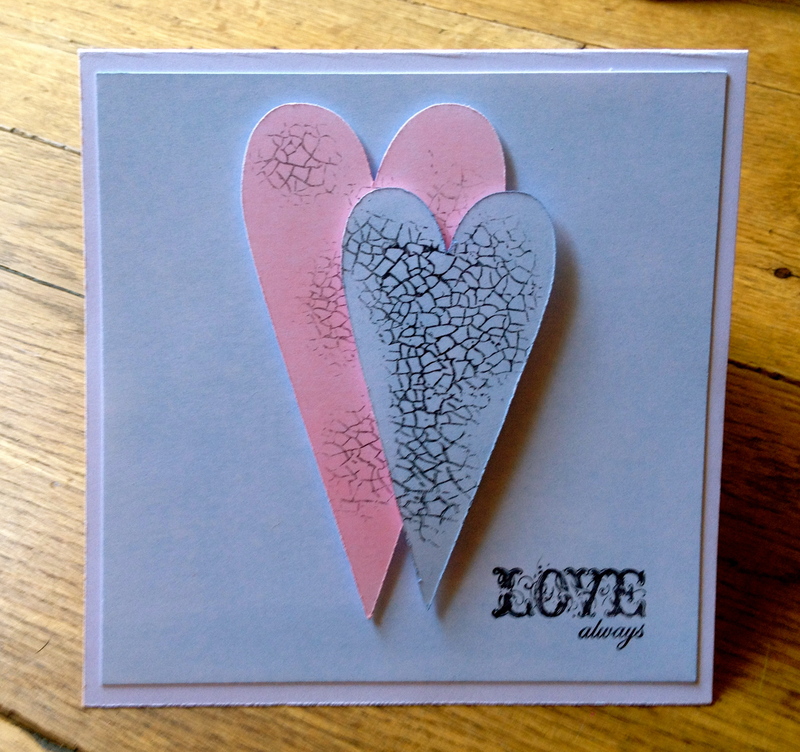 Not satisfied with only one card and loving the chalky mess made with my PP’s I made something very similar using a SU swirly whirly stamp ( yes more stamping and Pan Pastelling ) I needed a little lie down and a gin after that ! 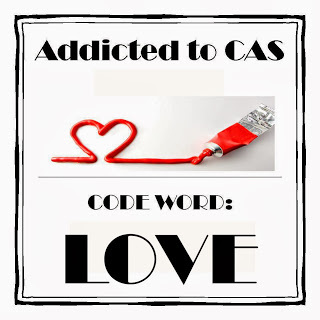 I see that CAS-ual Fridays has a great theme that I think these cards fit into perfectly so will be linking up there too. there are five free digs up for grabs for the winner.